New Zealand is going to hold a referendum about a flag change. 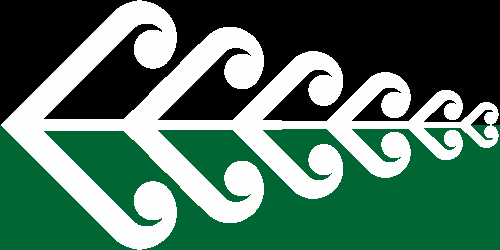 NZ Government is listing all the designs submitted so far. Looking there, I got in the mood of submitting my own design. 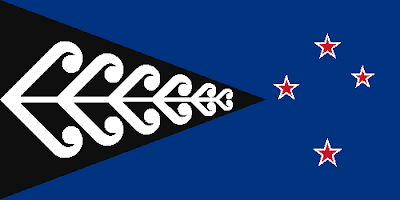 I think the silver fern and Southern Cross are more neutral than Union Jack or Tino rangatiratanga (main Maori flag). The silver fern could be, obviously, of a motif different from Bowman's. Not submitted it yet, but may do it next days. The Southern Brazil is remarkable for having the biggest (but still not relevant) separatist movement in Brazil. Those separatists claim supposed cultural, geographic and demographic particularities. Three stars for the three states that compose the region: Paraná, Santa Catarina and Rio Grande do Sul. 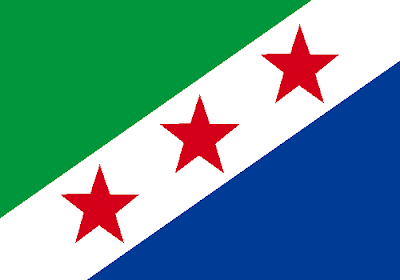 This flag is a bit boring, and rejected by other separatist movements. I disagree that the araucária (Araucaria angustifolia) is, inside Brazil, a symbol exclusive to the South Region, as there are many counter-examples. I consider a more stylized tree a better solution, too. I designed it on a way that it be used inside or outside a secessionist context. 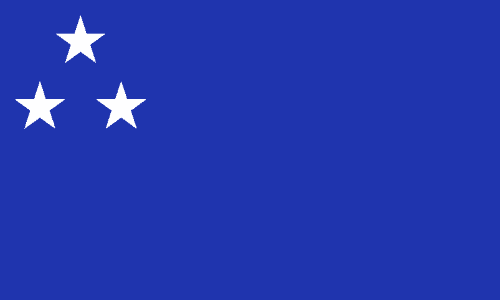 The blue represents the Atlantic Ocean that bathes the three states. 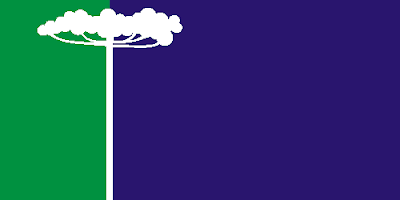 Green stands for the wealth of the forests and camps (for the secessionists, hope for freedom?). The stars are three in reference to the three states, and red due to the history of fights of its people. I tried to make this post the most apolitical I could... I tried. Yöruk is a nomadic Turkic people originally living in Anatolia and Taurus Mountains, but also present in Iran and the Balkans. In Turkish, their name mean "walkers". Internet is a really big place, and I found a Yöruk-descendant talking about the inexistence of a flag for thr people. So I decided to make my own suggestions. 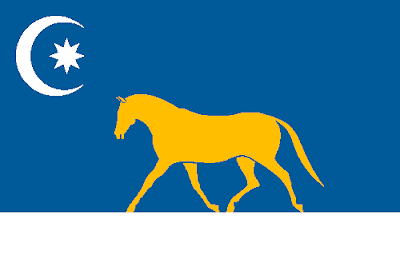 The crescent and star on blue background remarks the flag of Turkic Council. 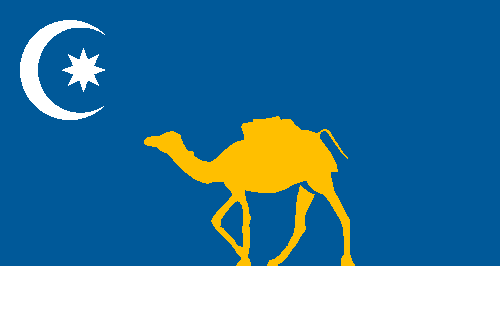 The flag itself is structured to remark a landscape, with the camel representing travelling and endurance, characteristics of the nomadic people. One local said me that, although Wikipedia tells that camels are their traditional means of transportation, most Yöruk families don't have their camels. I don't know much about Yöruk, but I like the looks of the flag. Sorry for delay, I'm having a busy week! I'm a bit late here. Many fellows have published their imaginative exercises on the coats of arms for the sons of William and Catherine, the Duke and Duchess of Cambridge, respectively. I have to say it's just a futurology exercise — and a funny one! Usually, the members of British royal family just gain arms after their eighteenth birthdays. At the time her youngest great-granddaughter will be completing 18 years, Queen Elizabeth II would be 107 years old, so I'm working on the scenario where now-prince Charles would already be king, and current practices in British royal heraldry wouldn't have changed. If Prince Charles was the king, Prince William would be the heir apparent, therefore using a white label of three points. As heir apparent's heir apparent, George would use the arms of his father with some difference. 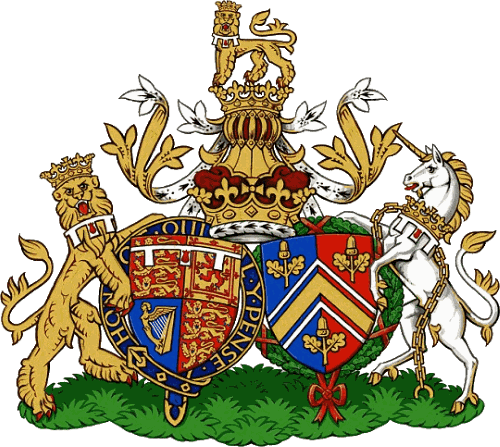 William now uses the scallop shell from his mother's family (Spencer) coat of arms, so George could use the acorn from his mother's family (Middleton) coat of arms. Prince Harry, the second son of Charles, now use a label of five points, so could use Charlotte in this futurology scenario. Although it could have a nice contrast with royal quarterings, in both regular and Scottish forms, I'm not totally satisfied with the result. Do you have a different opinion on this matter? Leave your comments, please!